Talk to a lawyer for Free 24/7 (314) 361-4242 :: With over 20 Years experience & thousands of cases, our St. Louis Auto Wreck Lawyers fight to get compensation for accident injury victims. No matter how safe or defensive a driver you are, you cannot control the actions and behaviors of the other people with whom you share the road. Each day thousands of people are victims of auto wrecks. It only takes a few seconds for a wreck to change your life. If you or a loved one have been in an auto wreck due the negligence or recklessness of another person, contact The Hoffmann Law Firm, L.L.C. as soon as possible. A negligent driver is someone who behaves in a thoughtless or careless manner, resulting in harm or injury to another person. Thinking that someone has been negligent is very different from being able to prove that they were. That is why it is very important that the victim hire an experienced and knowledgeable auto wreck attorney. You can be sure that the other person involved will have an attorney advocating their case. What Should You Do After an Auto Wreck? Every car accident is unique, yet there are some common tips that any auto wreck victim can follow to ensure the situation is resolved as quickly as possible. Seek proper medical attention: Unquestionably, the health and safety of you and your loved ones should be your top priority. Seek medical treatment for any injuries sustained as soon as possible. Avoid discussing the accident and save your apologies: You were just involved in a traumatic event and might not be thinking clearly — limit your discussions to avoid admitting liability. Discuss the accident with the police and your insurance agent only. Have someone obtain vital information: Get the names, insurance information, phone numbers and addresses of everyone involved in the accident. Have someone photograph the scene: Many insurers recommend obtaining photos of the accident scene to avoid discrepancies and to obtain accurate evidence. Have someone take notes: Detailing the nature of your injuries, the damage to your property and anything you find unusual could be very beneficial down the road. Do not accept initial insurance offers: Insurance companies do not have your best interests in mind. They want your case to go away as quickly and quietly as possible, and typically undervalue the damages accident victims sustained. Contact an experienced auto wreck lawyer: Speak to a knowledgeable auto wreck lawyer to discuss your case, learn your options and determine if you are entitled to compensation. The Hoffmann Law Firm, L.L.C., is located a “Car Accident Lawyer near me” if you are near St. Louis, Missouri. will provide answers to your questions and relieve the stress following a serious auto wreck. Injuries that result from an auto wreck can range from minor cuts and scrapes to a traumatic brain injury. With so many factors to consider, such as the speed the cars were traveling and their size, it is easy to understand why this would be the case. 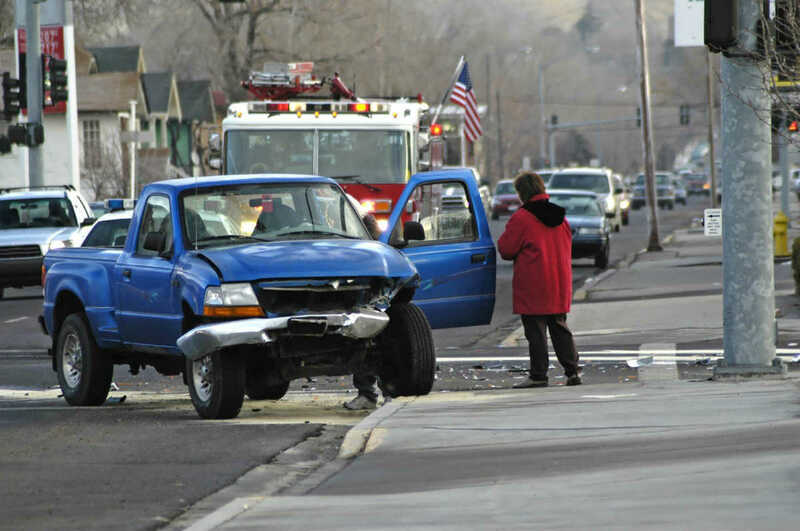 Auto wreck victims have the right to pursue financial compensation for all of their injuries. If you suffer a debilitating injury from the auto wreck, our team of auto wreck lawyers will also advise you to pursue compensation for future medical care, including the cost of in-home nursing care, or the placement in a rehabilitation facility. If you were seriously injured in a St. Louis auto wreck, you can call our office at (314) 361-4242 or toll free (866) 763-6433. We offer a FREE initial consultation with a lawyer in all personal injury cases, and you never pay attorney fees unless we recover compensation for you.